In the Centre of the cosy village of appelscha on the N381 Emmen-Leeuwarden. 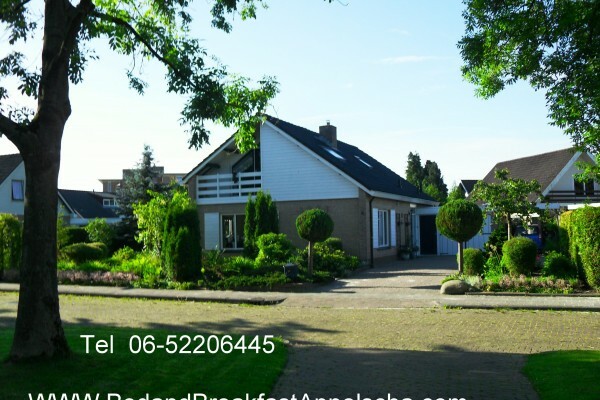 You will find within walking distance of both the beautiful shopping centre and the nature area the Drents-Friese Wold our luxury detached B&B with free parking and Wifi. There are also plenty of cosy terraces to be found, more or less next door. You can relax in Appelscha but also work well for body & Mind, cycling nordic walking there is also an open air swimming pool, riding school, an outdoor climbing adventure skill course, canoeing, the famous locks complexes of the peat-route, museums and a mini-golf and the amusement park Duinen Zathe the city of Assen and Emmen are definitely worth a visit, approximately 25 minutes by car. Our B&B is smoking, we cannot allow pets. This B&B has 3 comfortable rooms with own has private entrance, lounge with a complete studio w.v. each room has excellent quality 2-double bed and a comfortable modern bathroom. Our studio is possibly also with breakfast available. Room 1 is the first room has an excellent 2-double bed and a comfortable modern bathroom with whirlpool tub, double sink, and toilet. This room has a balcony where smoking is allowed. On the floor you can make use of a cosy living room with refrigerator and tv. There is also a sunny terrace for the guests of the B & B. 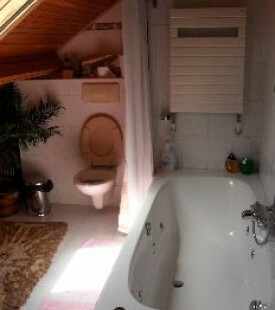 Room 2 with bath-toilet and shower. Here you will find a lovely spacious double bed with bath/shower with Jacuzzi, a toilet and a double sink, next to your bedroom. 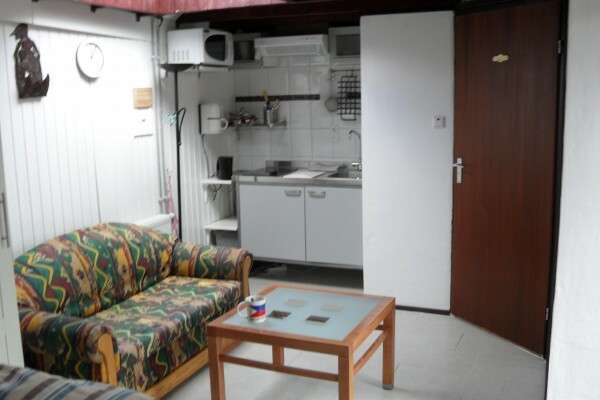 Holiday apartment with kitchenette, bathroom and toilet. This studio has its own entrance so your privacy is guaranteed. The modern furnished studio consists of a spacious living-sleeping room and is suitable for two persons.For a small fee, it is possible to create 1 or 2 additional sleeping places. You have a kitchenette with all accessories, a private shower and toilet. This studio is equipped with wifi and has a flat screen with dvd player and radio. 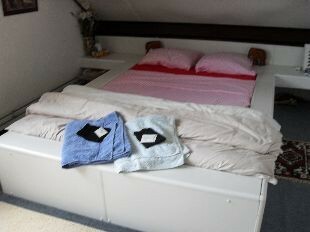 Our friendly price of € 55,-for a room including breakfast for two persons. When booking for 1 person € 32.50 per night including breakfast. Our rental price for the studio, including breakfast in the studio, € 55,-per night. Rent studio excluding breakfast is € 45 euro per night. Extra bed € 10 per night. Clean bed linen and hand and tea towels are included. You can book online directly with the owner under the tab book so without reservation costs. consultation between 7 and 11 am no breakfast is included, unless you wish. There is a discount of € 5,-per person on your room rate. Possibly a dish of the day in consultations. n the direct surroundings of our B&B is a recognised bicycle hire company. We appreciate if you do not bring pets. Our studio is suitable for less mobile people. Internet it is possible in our B&B/studio free Wi-Fi internet access. No experiences yet with Bed and Breakfast Appelscha. Be the first! Did you stay in Bed and Breakfast Appelscha? Let us know what you thought about it and help others to make the right choice! * I confirm having stayed in Bed and Breakfast Appelscha. Find other bed & breakfasts in Friesland.